A pair of fierce but beautiful eyes look out from the undergrowth of conifers. The eyes follow every movement in the great herd of plant-eating dinosaurs that mills around the open meadows, moving back and forth with the rapid scanning of a hunter who is thinking about everything she sees. She is an intelligent killer. 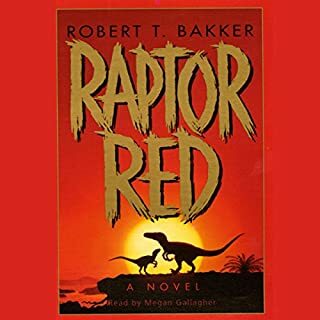 Raptor Red is an all time favorite book of mine, so I chose to give it a listen on a long drive. this Audio book is missing much of the story, and I am very disappointed.